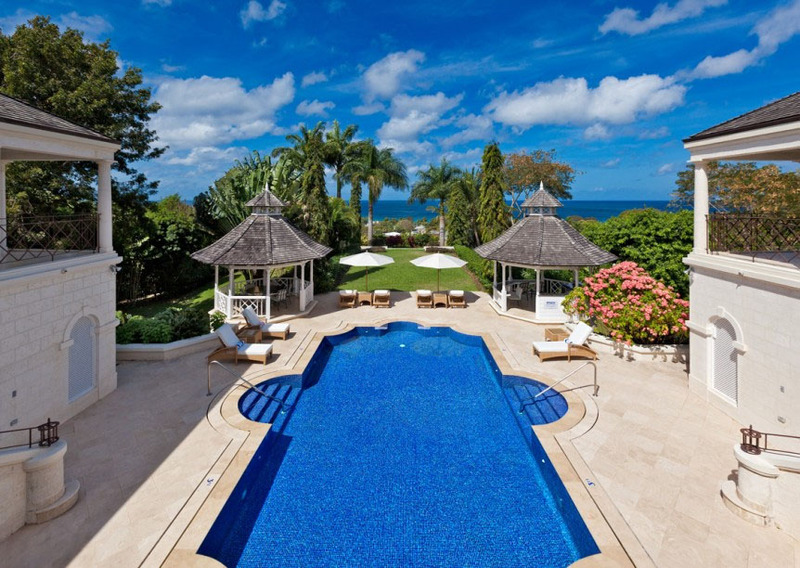 Luxury 5 Bedroom Villa Barbados – A custom built private villa nestled in the gated resort community of the very popular Sugar Hill Resort. 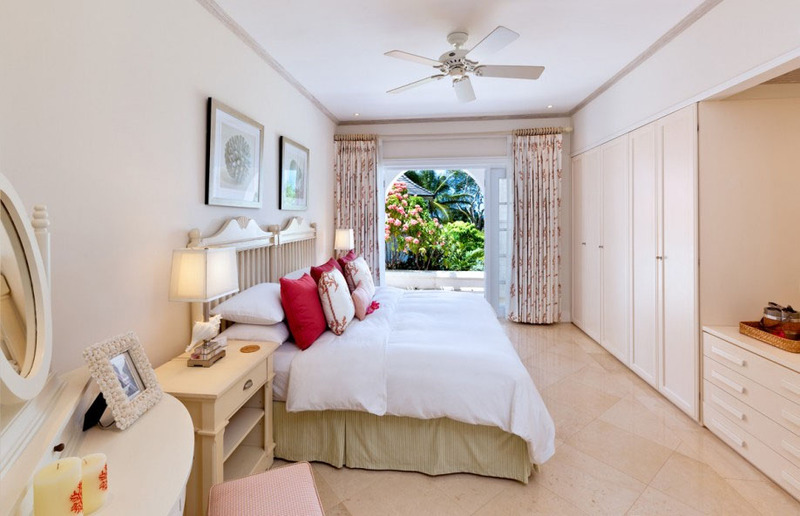 Sugar Hill is located inland slightly north of Holetown on the West Coast of Barbados, and famed for the West Coast beaches, excellent shopping and renowned restaurants. 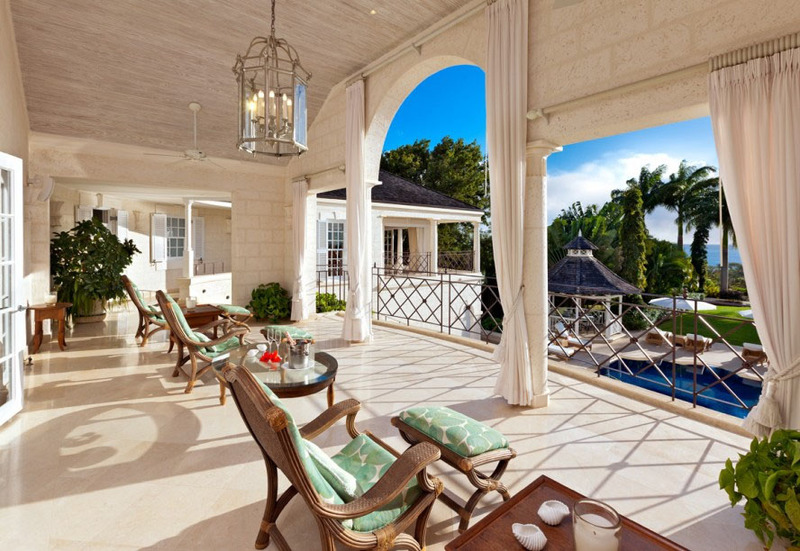 The luxurious Sandy Lane Hotel inspired the design of this luxury villa and the result was a breathtaking villa, which combines elegance with contemporary design in impressive style. 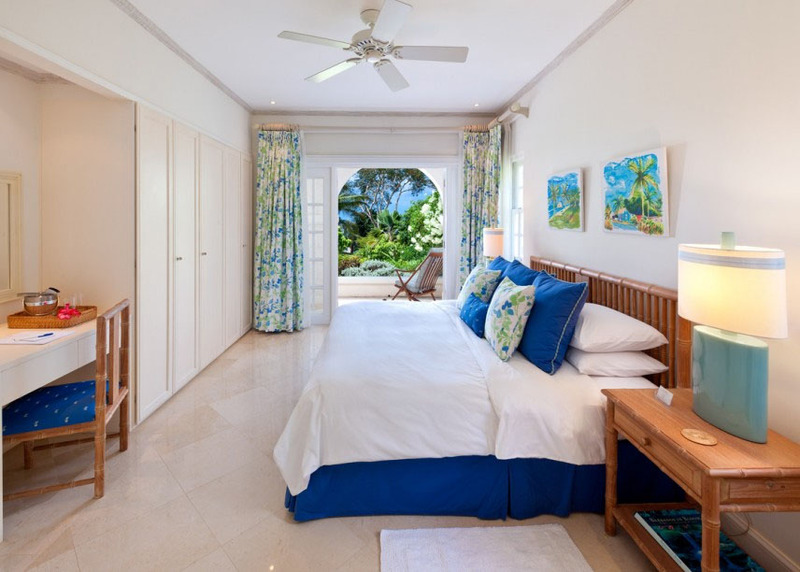 As you walk through the large glass front doors you are greeted by an uninterrupted vista of the Caribbean Sea. The foyer spills out onto a covered terrace that overlooks the large swimming pool and dual staircases that lead down to the pool area. To the left of the covered terrace is the formal dining room and to the right is the master suite. On the lower level is a tastefully designed living room with the solo purpose of being a comfortable place to relax. It is equipped with a large flat screen television with cable TV, DVD player, Bose surround speakers and a bar for your convenience. 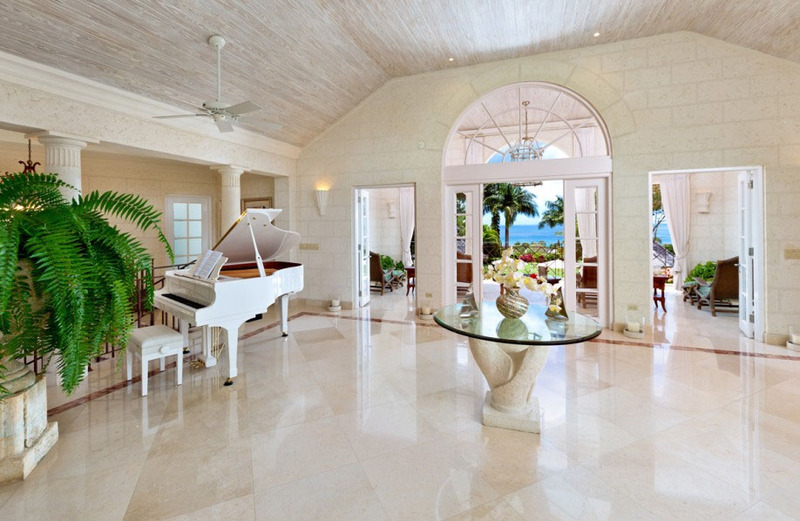 It is an open plan room, which leads through a number of arches onto the pool deck. The pool deck has numerous loungers, a barbecue and two gazebos both gazebos are outfitted with Bose surround sound system. 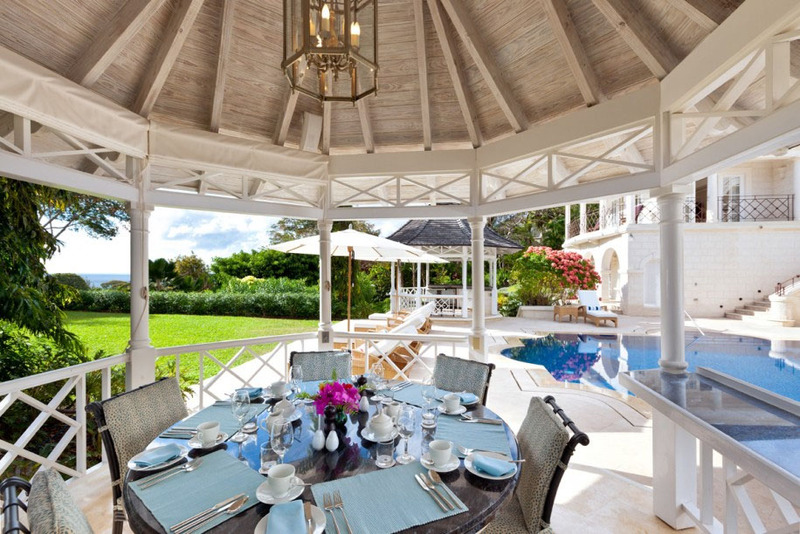 One gazebo has a small outdoor kitchenette and the other gazebo has an informal dining area. The pool area is an ideal place to lounge, take cooling dips in the pool, listen to music, sip on cocktails and enjoy barbecue for lunch or dinner. 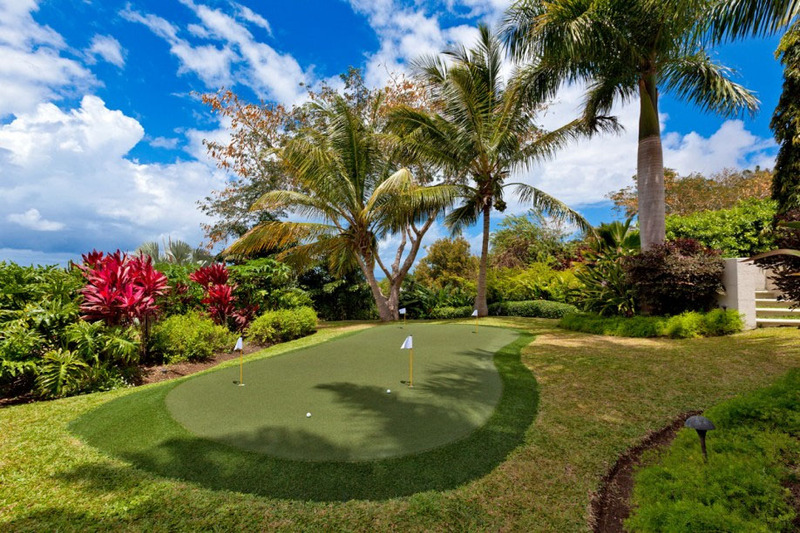 This luxury villa is located in Sugar Hill Resort Community that offers a number of resort amenities including a Clubhouse, acclaimed restaurant, two resort swimming pools, and four championship tennis courts. Sugar Hill has had tennis stars such as Serena Williams and Caroline Wozniaki play on their courts. The resort is only a short 5-minute drive from its beach facility located at The Fairmont Royal Pavilion. 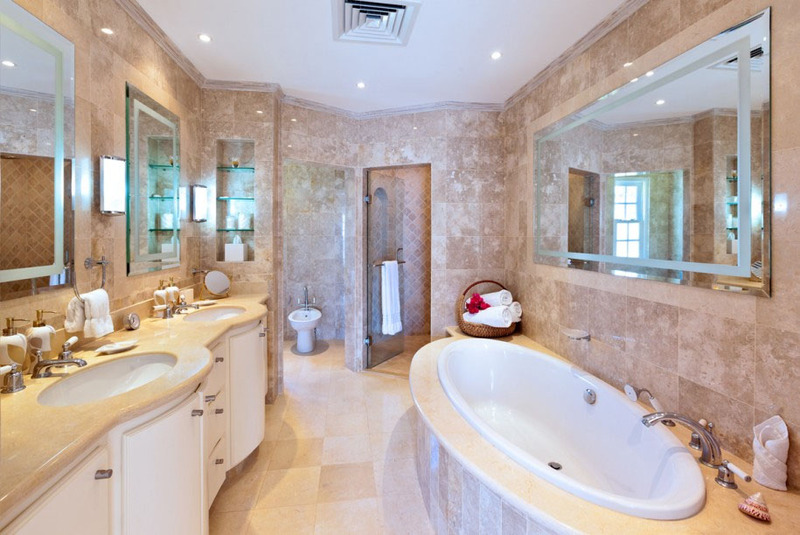 All of the bedroom suites are air-conditioned, have private covered terraces, en suite bathrooms and a security safe. 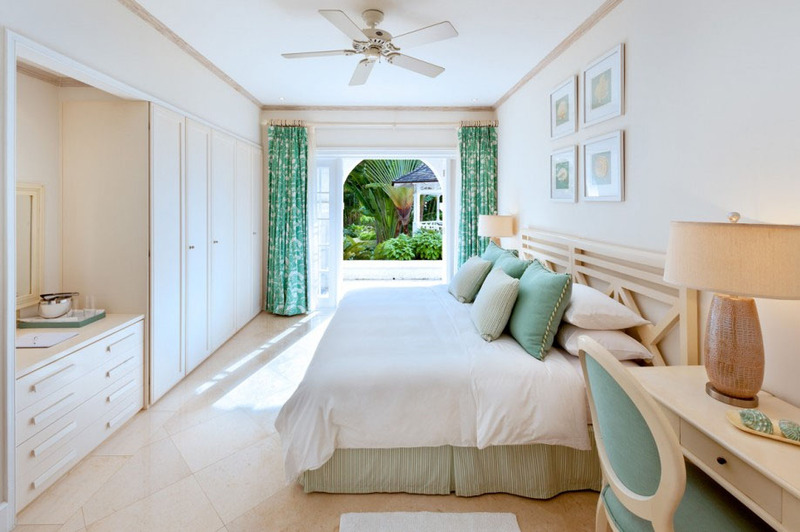 Four of the bedroom suites are equally proportioned and are located on the ground floor. The master suite is on the first floor and features a second living room, a large flat screen television with cable TV, DVD player and Bose surround speakers. 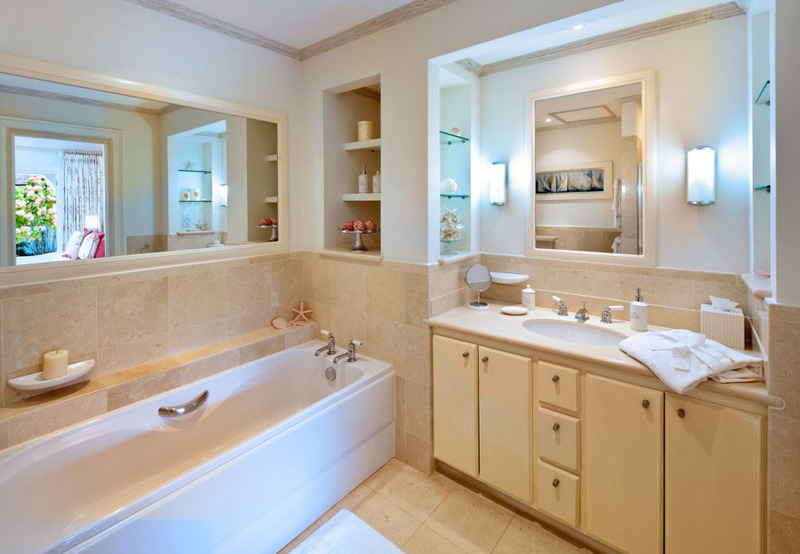 The master suite also has a large walk-in closet and an en suite bathroom that includes a tub and separate shower. 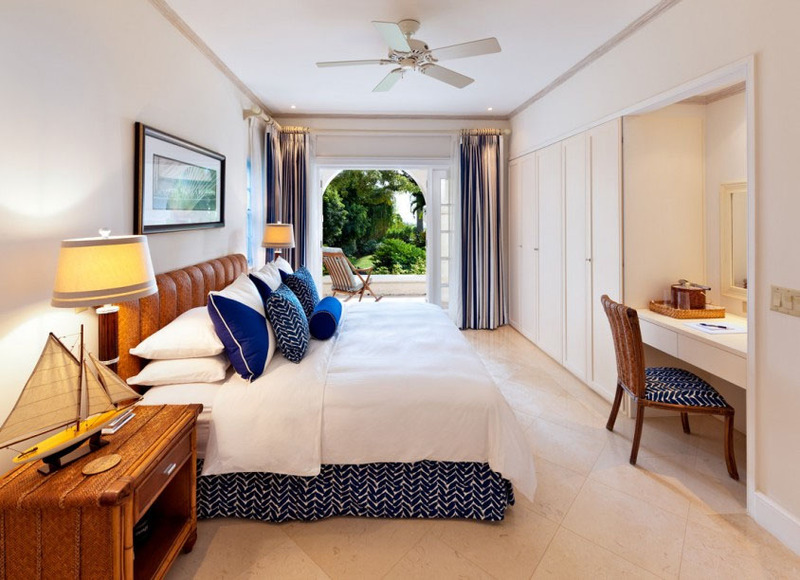 The king size bed allows you to lounge in bed and have a view of the sea.